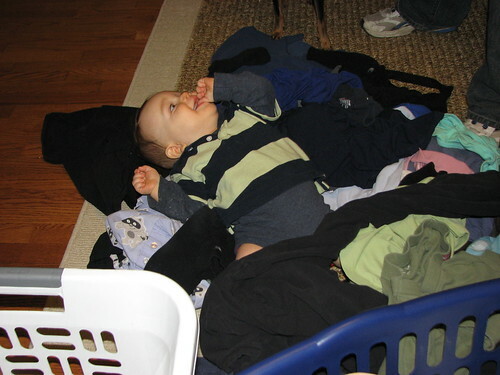 Just the other day, we were looking at a blog post featuring Ezra, Luke's 2nd cousin, playing in a laundry basket. I commented to Sam, "Luke's never even touched the laundry basket." 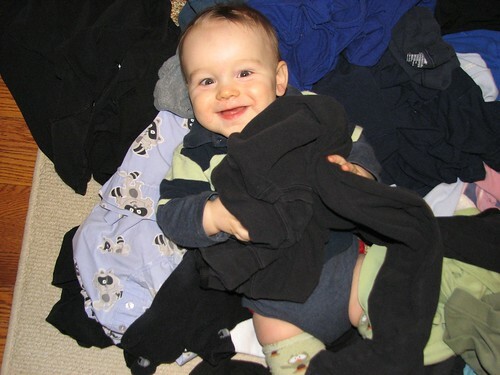 Luke must have heard me, or he and Ezra were scheming behind my back at Christmas, because the very next day, Luke discovered the laundry basket and proceeded to empty it all over the floor. Apparently rolling around in clean laundry is a favorite pass time of little boys. Ezra, we blame you for Luke's new messy habit!